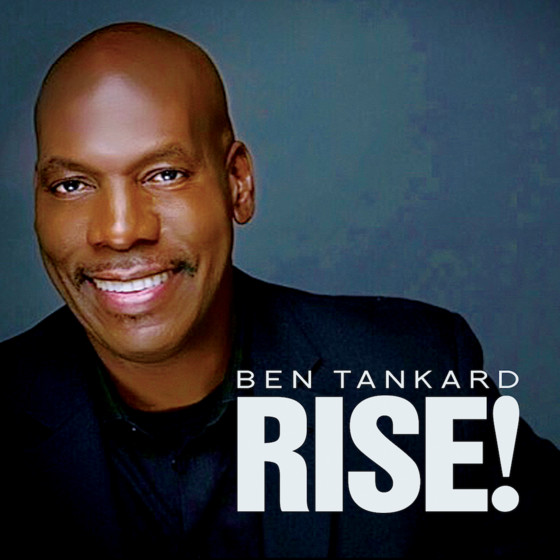 Archives » BEN TANKARD Takes Flight With New Album RISE! Nashville, TN -- Your favorite Renaissance Man is Back! Gold and Platinum selling Gospel/Jazz Pianist, bestselling author, reality TV star, private pilot and pastor, Ben Tankard has been thrilling us with Gospel/Jazz for nearly three decades. His new album RISE! promises to be some of his best work yet! Those classics that Tankard speaks of so highly include the 1980’s cult classic instrumental song "Rise" by 9X GRAMMY® Award-winning trumpeter Herb Alpert. Tankard's remake of "Rise" features sax man Marion Meadows and is the first SmoothJazz single from the album which is already making waves as "most added" on the SmoothJazz Chart. "You have recorded a beautiful version of our song 'Rise', I wish you much success." Other classics songs on the album include the Gospel hit “It's Working” (by William Murphy) featuring Kirk Whalum, and a favorite by The legendary Williams Brothers “I’m Still Here“, which marks Tankard’s first recording of a quartet song. The former NBA basketball player, affectionately known as The “godfather” of Gospel Jazz, was recently inducted into the Stellar Awards Honors Hall of Fame at the 2018 Stellar Awards Ceremony in March. Tankard's honor by The Stellar Awards exemplifies his lifetime of achievements in the Gospel Music industry as an artist, musician and producer.